S. Gail Creason, 82, of Greenwood, Missouri, was born March 11, 1936, in Hallsville, Missouri, the daughter of Seldon Tolson and Myrtle May (Ott) Shern. She departed this life, Wednesday, August 15, 2018, at the Lee’s Summit Medical Center. Gail was a 1954 Hallsville High School graduate. On September 1, 1956, she was united in marriage to Bobby Dean Creason in Hallsville. They later divorced. Gail had been employed as a house keeper for the ABC nursing home in Harrisonville, at the Lee’s Summit Hospital, and Unity Village. 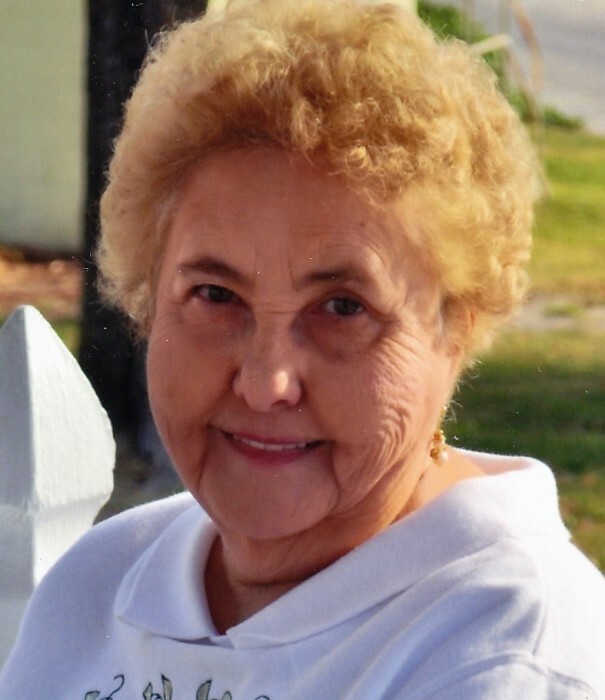 She was a member of the Pleasant Hill First Christian Church and the Single Promenaders square dancing group. She enjoyed square dancing, cooking, gardening, going out to eat and was especially fond of the Royals and Salvador Perez. Gail was preceded in death by her ex husband Bobby; two brothers, S.T. Shern and Denver Shern; and two sisters, Jan Newton and Betty Blumer. She is survived by two sons, Greg Creason of Greenwood, and Denver (and Wanda) Creason of Pleasant Hill; one daughter Pamela (and Jim Beebe) of Pleasant Hill; two granddaughters, Miranda Pearson of Los Angeles, California, and JoAnn Burrage of Del City, Oklahoma; two great grandchildren, Kylie Burrage and J.D. Burrage of Del City; other relatives and friends. Funeral services were held Tuesday, August 21, 2018, at the funeral home. Reverend D. Kent Deubner officiated. Interment was in the Pleasant Hill Cemetery. Casket bearers were Mike Blumer, Richard Blumer, Steve Blumer, Peter Breeze, Lou Clark, and Robin Sharp. Memorial contributions are suggested to the Lay Clergy Council of Pleasant Hill and may be sent in care of the funeral home.